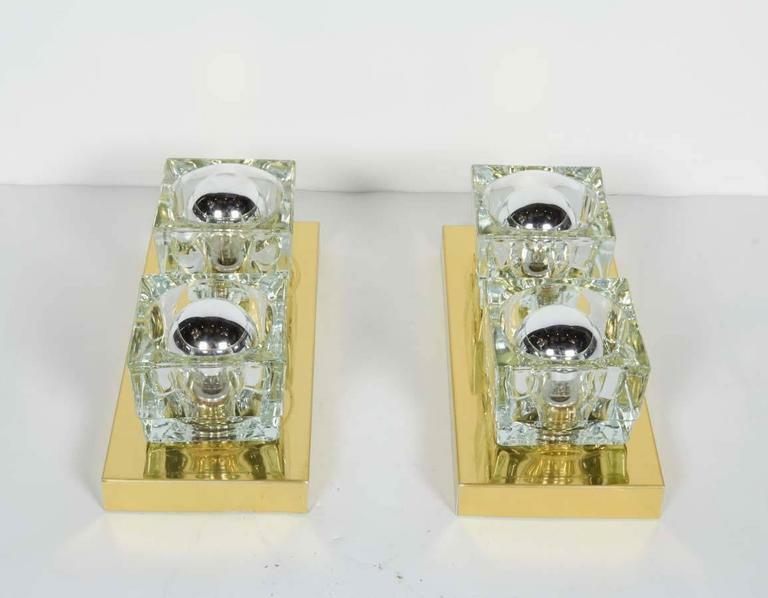 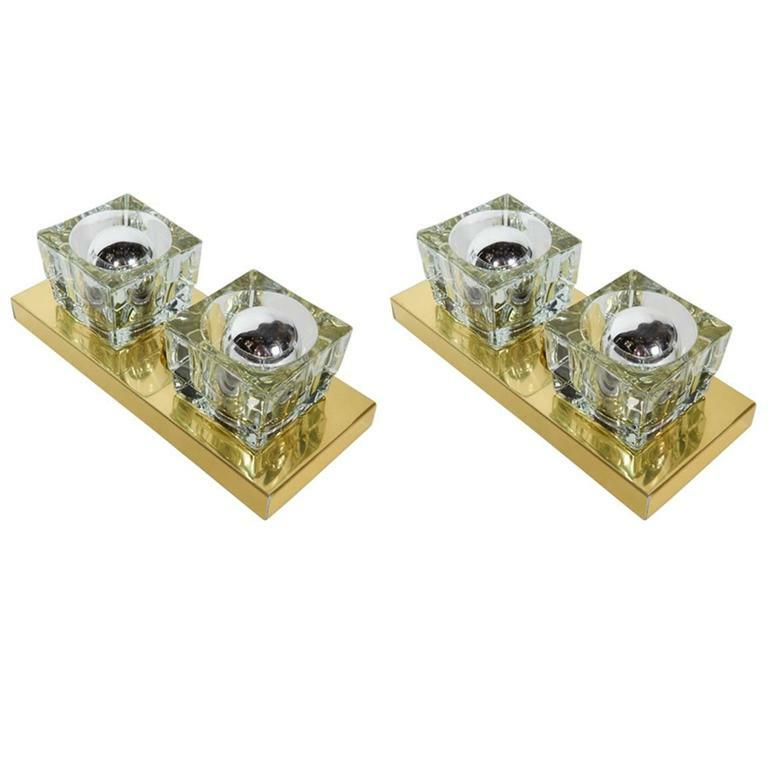 Mid-century modern wall sconces featuring two hand-cut-glass shades each in block forms and with cubist design. 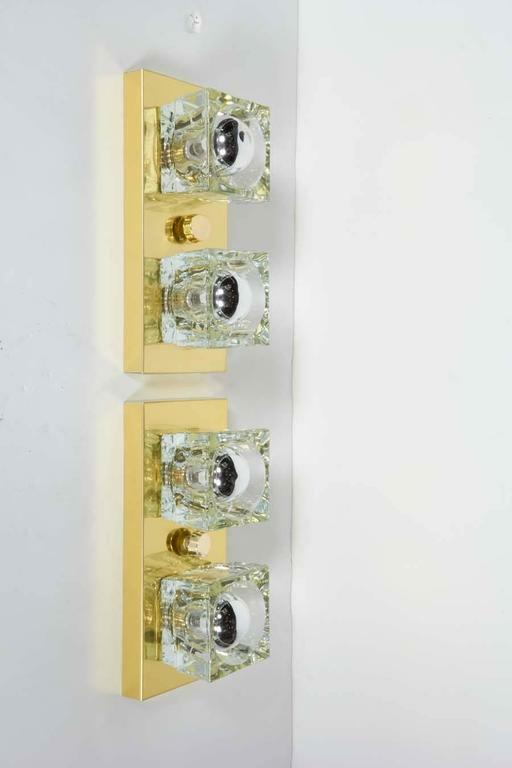 Frames are wall-mounted (with vertical and horizontal options), and are finished in a highly polished brass with matching fittings. 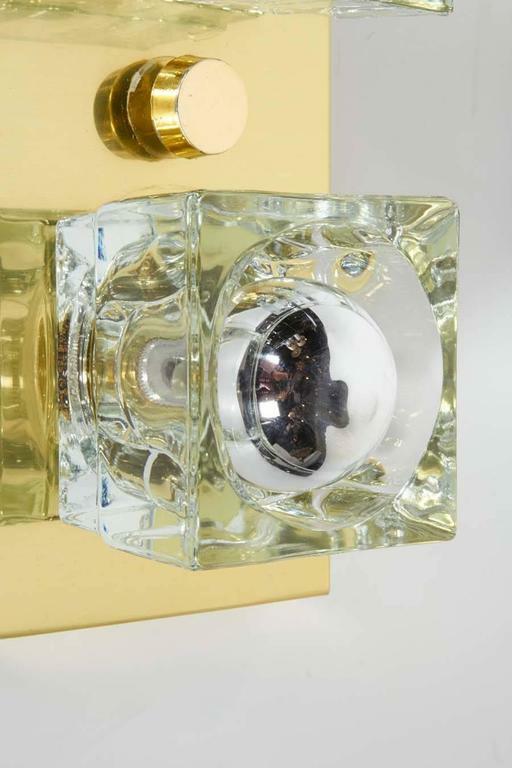 Exhibits minor wear consistent with age. 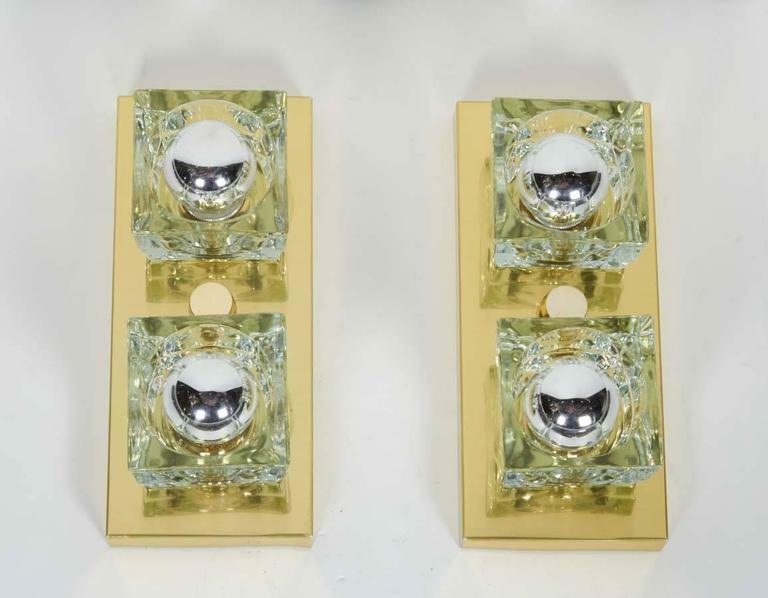 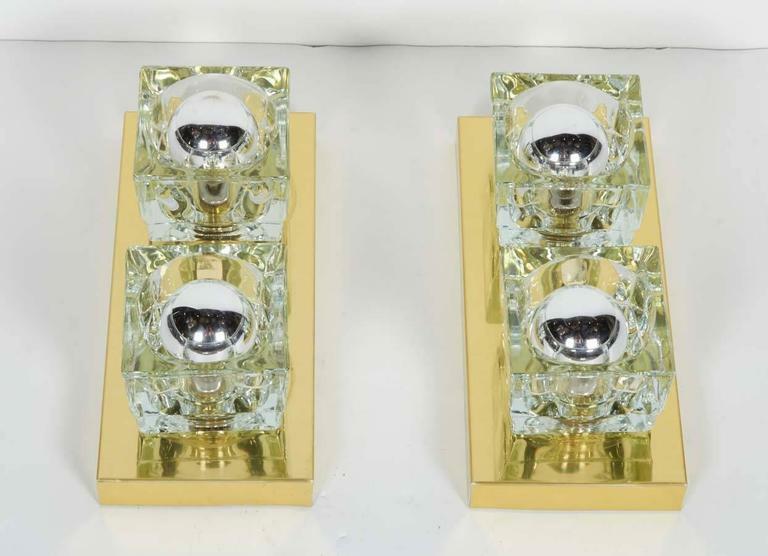 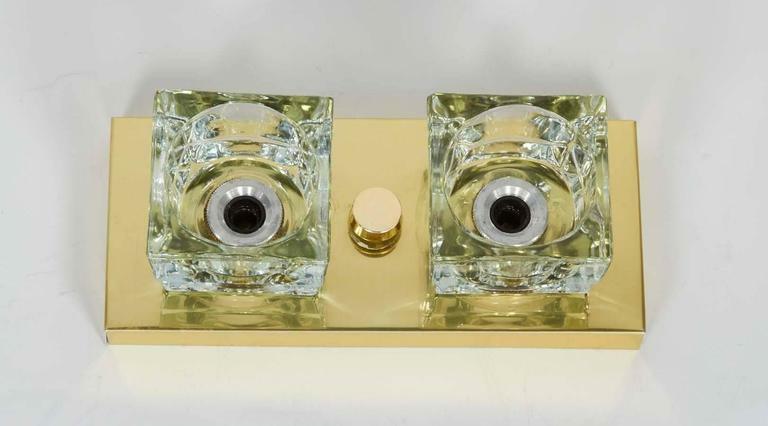 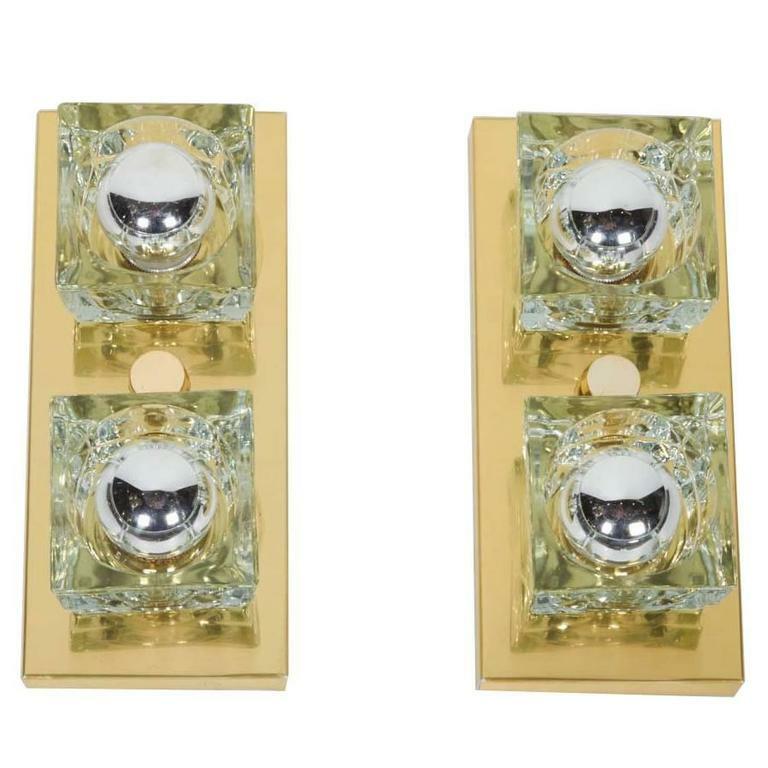 Set of two Gaetano Sciolari brass and glass wall sconces, the two sconces are equals, made in Italy by Stilkronen in 1960. 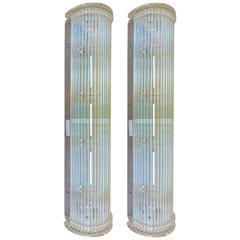 They work with both 110 and 220 Volt. 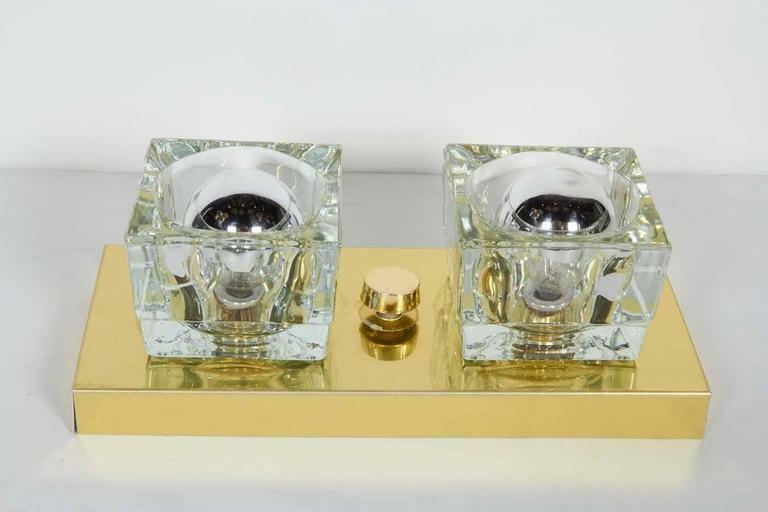 Gaetano Sciolari monumental two-arm sconces with chrome and brushed brass arms holding two small fitting lightbulbs.